This page assumes some basic familiarity with Linux. 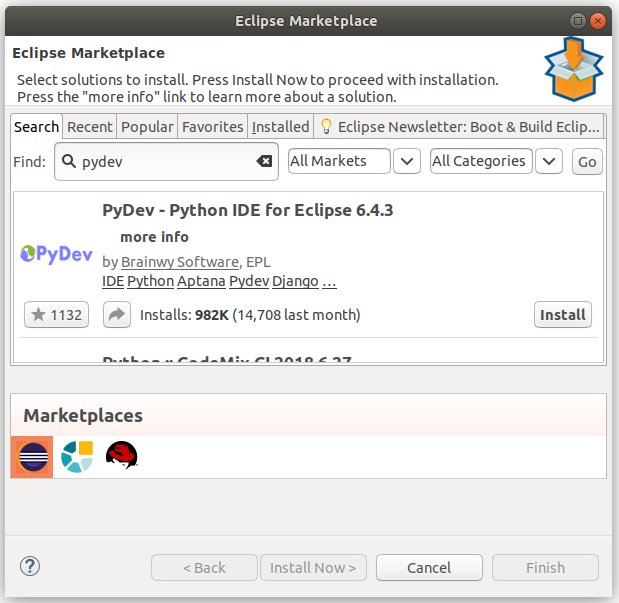 It assumes a clean install of Ubuntu 18.04 and installs Eclipse Photon. 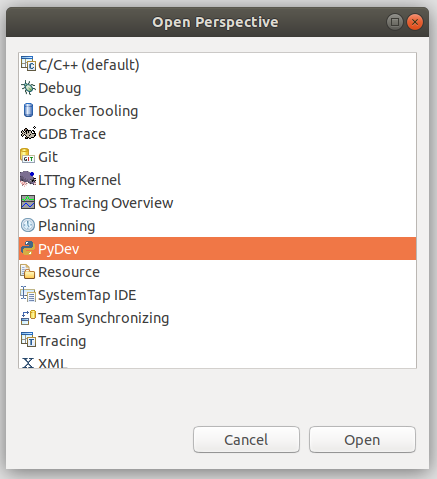 I install the CPP version, but you’re free to choose when the option presents itself! 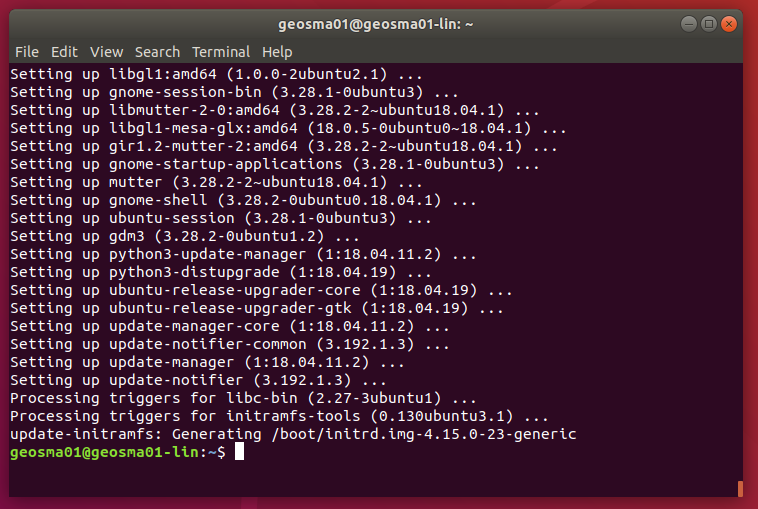 These commands may take a while to complete, depending on what there is to update and how fast your internet connection is. 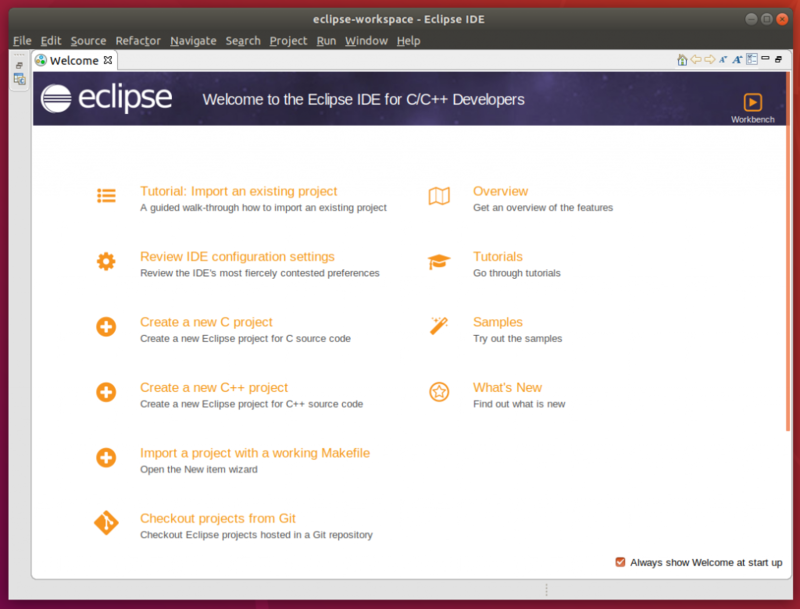 Since Eclipse is written in Java, we will need the latest version. 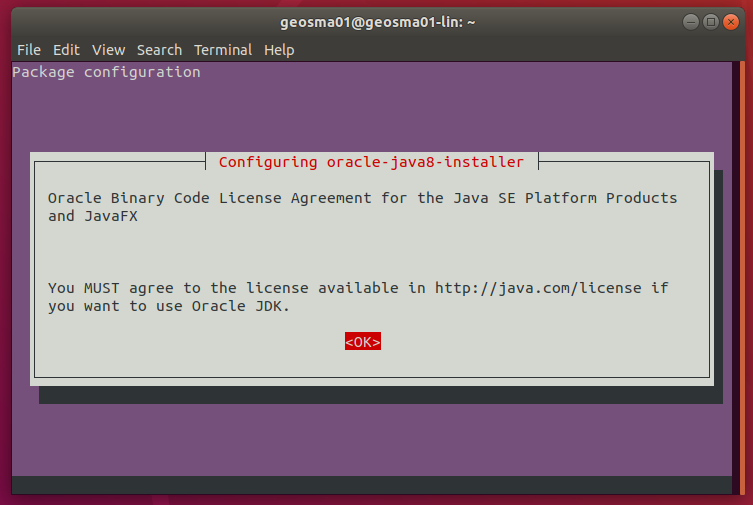 I’m not sure if the Java Runtime Environment (JRE) alone is enough, but I have installed the full JDK anyway. 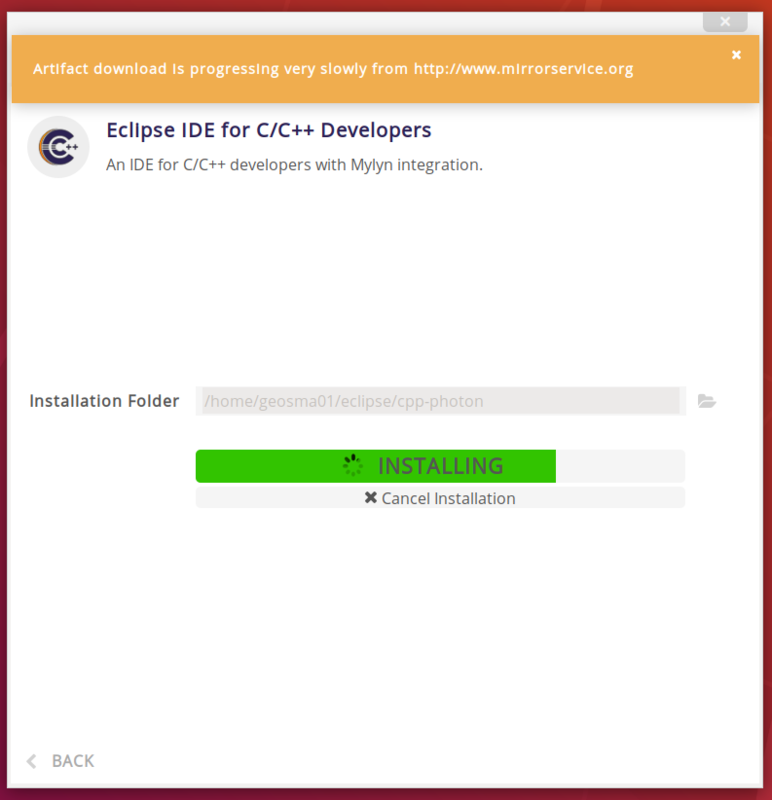 The Eclipse installer can be found on the Eclipse project download page: https://www.eclipse.org/downloads/. At the time of writing, the Eclipse Photon installer was 45.9 MB. I downloaded it using the Mozilla Firefox browser, and saved the installer into my user’s download folder (/home/geosma01/Downloads/). 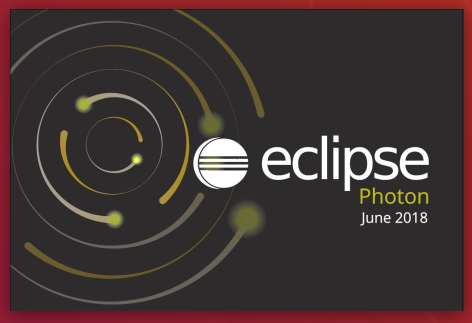 Now we have Eclipse running, we should get ourselves an icon to easily start it. Confirm your selections, accept the licence conditions, and you’re good to go! Once installed, click on Restart Now and you’re done!